Reminiscent of a walk through the countryside and showing villagers and children in rural pursuits. 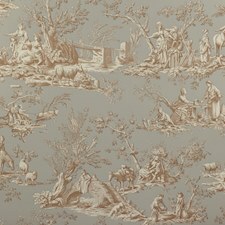 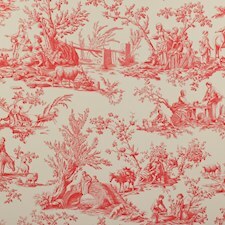 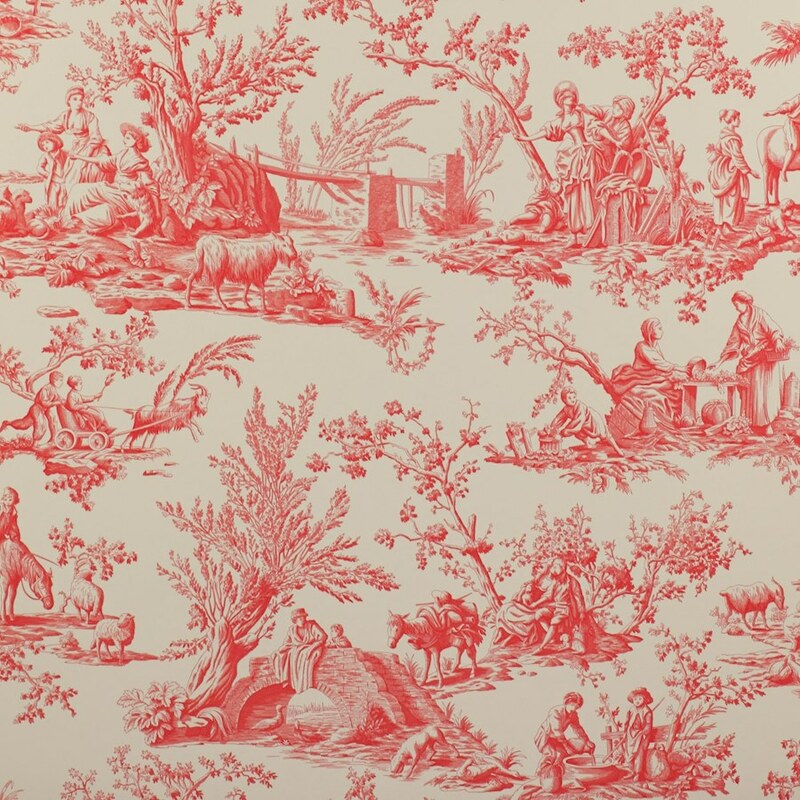 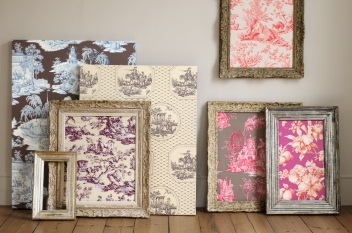 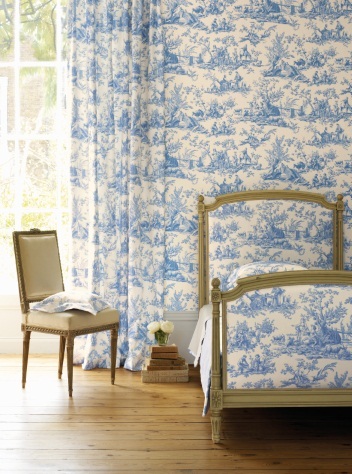 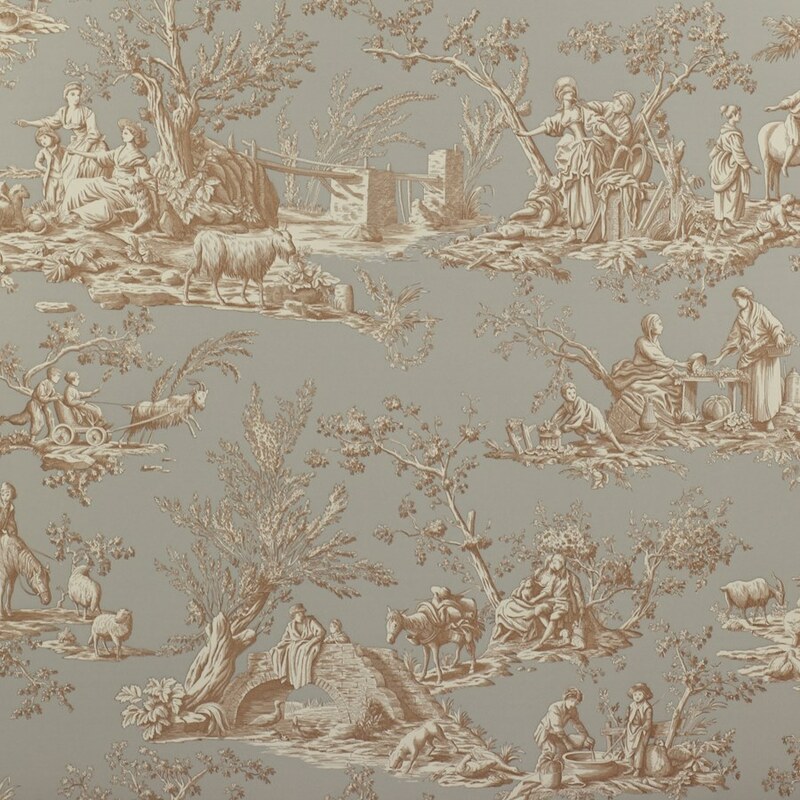 This design is drawn in the traditional style of 18th century toile de Jouy. 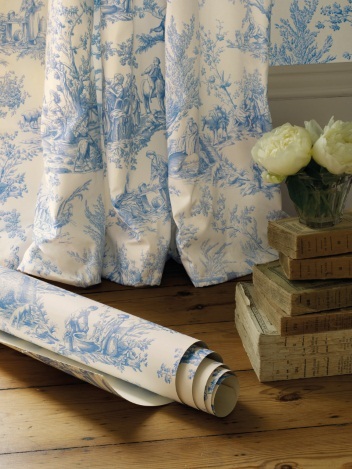 Each colourway comes with a matching fabric.